Payers, providers, and patients need a better way to collaborate. Valiant Health is a healthcare technology company focused on helping clients improve their quality ratings and optimize their revenues. Our team includes highly skilled data analysts, technology experts, clinicians, and coders to ensure measurable results through a variety of services including Star Ratings, Pay-for-Performance, commercial risk adjustment, and more. 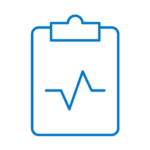 Our suite of products connects payers, providers, and patients through a single software platform. Connects payers, providers, and patients through a single software platform. Make the best decisions possible with your data. We can help.